Please send an email to [email protected] if you think a product listed on our website does not meet these standards. Yes, you need to have already an account created. Once your order is placed, we will either automatically confirm it by notifying you via email, or we will call you for confirmation in case we need more details. Please note that this confirmation is a mandatory step before we ship your order. In case you have a doubt about whether the confirmation was done or not, do not hesitate to contact our Customer Service Call Center at 0312 531 800 or [email protected] a few hours after your order placement. Call our customer care at 0312 531 800 or [email protected] to create your return. We will send you regular updates about the status of your order via emails and SMS. After your order has left our warehouse and is on its way to you, you can also track its status by entering your tracking number on https://www.jumia.ug/track/. Please send us an email on [email protected] if you think a product listed on our website that does not meet these criteria. Prices on Jumia are not negotiable. Jumia has thousands of sellers who offer you the best prices and deals. Some of our products are offered by different sellers. This allows you to choose your prefered offer. If a product is sold by different sellers, you will find the alternative prices of other sellers in the product page. Free installation is not offered unless very specific exceptions.. Be sure to check the product description of products to get more details about installation. In case of doubt, do not hesitate to contact our Customer Service Call Center at 0312 531 800 or [email protected]. Jumia provides you with chance to return your product within 7 days after delivery. Past those 7 days, potential issues will be covered directly by the Seller if the product was provided with a warranty. If a warranty is offered on a product, the warranty period will be displayed on the right product page. If a product is sold by multiple vendors, the warranty period offered by each vendor will be displayed to the right of Seller name, in the 'more information' box. In case of doubt, do not hesitate to contact our Customer Service Call Center at 0312 531 800 or [email protected]. Warranties are covered by Sellers, not by Jumia. You can claim any warranty by presenting your product and the warranty card at an authorized service center of the Seller. Do not hesitate to contact our Customer Service Call Center at 0312 531 800 or [email protected] to be provided with the contact information of the service center of the Seller of your product. Please refer to the manufacturer (or service center) details on the warranty card included with your product or go to your product page on jumia.ug and look for warranty/service center information in the "description" tab. If there is no warranty card, please check the user manual or product packaging for more details or get in touch with our Customer Service Call Center at 0312 531 800 or [email protected] so we can help you to resolve the issue. Please get in touch with our Customer Service Team at 0312 531 800 or [email protected] so we can help you to resolve the issue. The warranty for your product should start from the date of order. Please contact our Customer Support Team at 0312 531 800 or [email protected] if this is not the case. There is mismatch in warranty terms between Jumia and brands website. What am I eligible for? We'll send you an email and SMS notification once your order has been confirmed and as soon as your order left our warehouse (shipped). We do our best to get your orders delivered by the date listed on the product page. If your order has already been shipped you will not be able to cancel it, but still potentially able to return it (Check out our Return policy for detailed information). We are sorry that your order is delayed. You can follow its progress by entering your tracking number on https://www.jumia.ug/track/. If the status has not changed in a while, please get in touch with our Customer Support Team at 0312 531 800 or [email protected]. If you are having trouble placing products in your cart, please make sure that you have made all relevant size and color selections. If you still have problems, this may mean that the item you are trying to buy is sold out. Please get in touch with our Customer Support Team at 0312 531 800 or [email protected]. What should I do if my order is verified but not delivered for a long time? You can stay up to date with the status of your order at all times on https://www.jumia.ug/track/. If you did not receive information about the shipment of your order while the promised delivery leadtime has passed, or if you have any doubt, do not hesitate to contact our Customer Service Call Center at 0312 531 800 or [email protected]. A hard copy of the invoice will always be sent along with your order. If you have not received an invoice, please get in touch with our Customer Service Call Center at 0312 531 800 or [email protected] and we will send you a copy of your invoice. What does Preorder or Forthcoming mean? These products are not yet available for purchase and will be available soon, but you can already pre-order them on Jumia. Any order will be shipped to you on the day of its official release and will reach you within the delivery time mentioned by the seller. Some products and regions may not be available for CoD. Mobile payment is an easy payment solution that is specially designed for ecommerce transactions. It's secure and amazing deals often apply on Jumia if you make a mobile payment! If no payment option is shown after you've entered your shipping information, you need to go back to your cart and confirm the items you have in your cart. If it is the case and you still cannot access Cash on Delivery, it may relate to your Region or some other very specific reasons: please contact our Customer Service Contact Center at 0312 531 800 or [email protected]. Its simple! When you get to the payment stage while in checkout, simply enter the gift card code in the voucher box. Sorry, we dont offer payment in installments at this moment. Which currencies does Jumia Uganda accept? We only accept Uganda Shillings. If your Gift Card value is less than the order amount, youll be asked to select an additional payment method to complete the payment. All products sold on jumia.ug can be returned excluding Undergarments: underwear(Vests, boxers, knickers,waist trainers), perfumes and custom made products. If your fashion product is the wrong size. Then the product must be returned in its original packaging. All accessories, tags and free gifts must also be returned. How long do I have to initiate my return? You can initiate your return within 7 days of delivery. For example: If you received your order on the 5th, then you have until the 12th to request a return. Once your item has been retrieved, expect an overall duration of 7 working days to receive your refund, provided the return is matching the returns conditions. If you requested a pick up, please don't hestitate to get in touch with our Customer Service Team at 0312 531 800 or [email protected] incase of any issues. Sorry, please always ensure that the item delivered to you by the delivery agent matches your order. In case you accepted it, you can still return it within 7 days considering the item is still intact with all tags and in the right packaging. What if my returned item is not cleared for refund? If your return is not cleared for refund, then we will call you to explain the issue and send the item(s) back to you. We will arrange the delivery of the item. Please note that we will make 3 attempts to return the product to you. However, after this, we will cancel the return procedure and will keep the product with us for a maximum of 60 days. If you experience issues after Jumia's return period has elapsed, you can claim your warranty (if any) from the authorized service center of the brand." I havnt received my refund amount yet. What do I do? What happens when my returned product is received back at Jumia's Warehouse? Delivery timelines vary depending on your city and your selected product. Click here to find out more. You can request for your order to be delivered to a different address within the same region or city before your order is shipped: for that please contact our Customer Service Call Center at 0312 531 800 or [email protected]. If you want to change the shipping address to a different region or city, we will have to cancel and replace the original order. You should refuse to accept an open package, as we will not accept returns of electronics products unsealed (unless for defective reason). If you do accept such a package by mistake or find out it has been tampered with, please get in touch with our Customer Service Call Center immediately at 0312 531 800 or [email protected]. Why do estimated delivery times vary for some sellers? Estimated delivery times depend on the location of the seller. For example, a mobile phone shipping from the main city would have a different estimated delivery time for customers within the main city than a mobile phone shipping from outside the main city. I ordered multiple items but I have received only one item so far. Whats going on? Items sourced from different sellers are shipped separately to make sure that there is no delay in fulfilment of your order. Rest assured that you will get all your items within the delivery period mentioned on the product pages of those items. Yes! Your parcel can be delivered to any address convenient for you. Just enter your preferred address as your 'shipping address' during checkout. Please be informed that once available at this pickup station you will have 7 days maximum to pickup your item. After 7 days the item would be sent back to the Seller and your order cancelled. Apologies for the inconvenience caused, please get in touch our Customer Service Call Center at 0312 531 800 or [email protected] so we can make things right. Start by clicking My Account and then sign up in the top right corner of your screen. Click Your Account and then Login in the top right side of your screen. Enter your registered email address and click Proceed. Now click the Forgot your Password button to get an email on your registered account with instructions on how to set a new password. Click Your Account in the top right corner of your screen (if you are logged in you would see your name there). Now click Address Book in the left side of the screen. Click on Add a New Address, enter the details of the new address and click on Save this Address. Why not just let it be and come back to us whenever you want. Would my account be deactivated if I dont use it for a long time? We miss you when you dont visit us enough but we never deactivate your account unless you requested it, or for exceptional cases of customers with very high repeated order rejection rate. Special event prices become active at the time mentioned with the campaigns details. Stay tuned to www.jumia.ug for more details. Can I buy as many items as I want during special events like Black Friday and Mobile Week? Usually there's no restriction on the quantity of an item you can buy but during special events like Black Friday and Mobile Week, we might put a restriction on some in demand items so that everybody gets a chance to enjoy our amazing deals. If your order was placed while the special promotional prices were active thats all you have to pay. 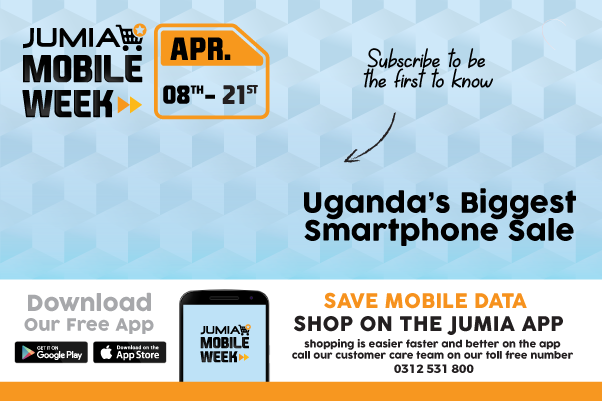 Jumia is Uganda's largest e-commerce mall. With more than 1,000,000 visits every month, it gives you access to sell and deliver goods to cities and towns all over Uganda. Click here to find out more. If you sell new and genuine products, you can register yourself immediately by visiting www.jumia.ug/sell-on-jumia and filling out a brief form. Within 3 business days, someone from our team will get in touch with you to guide you through the rest of the process. If you sell new and genuine products, you can sell on Jumia. If you think that your Intellectual Property Right has been infringed by any of our sellers, you can send us an email to [email protected]. 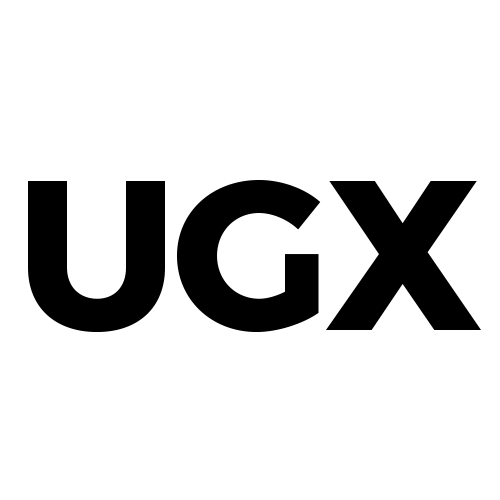 Your web browser/mobile browsers name or app and version.